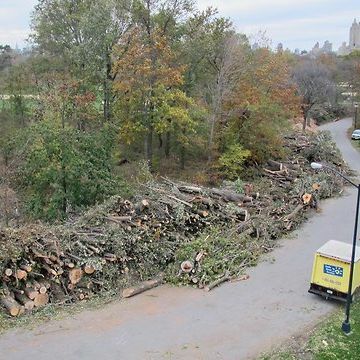 Among the 650 Central Park trees destroyed by Hurricane Sandy was a 160-year-old pin oak that “may have been among the first trees planted in Central Park.” Another arboreal victim was a 120-year-old swamp white oak. Boy, those trees had really seen it all. Or they would have, we guess, if trees had eyes. Boy, those trees really existed while a lot of stuff happened.